This boy finally comes out of his 'hiding'... and it's evidence that he's started losing weight for the drama, lol. 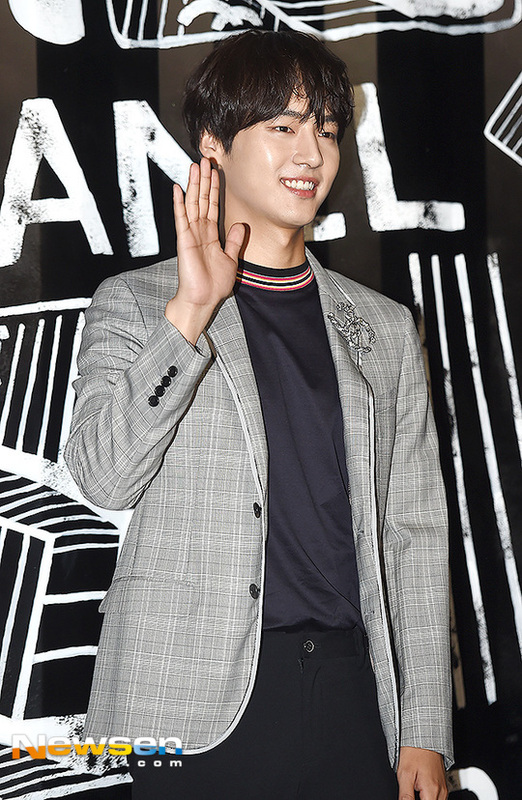 Se Jong is also seen shooting outdoor and giving away signatures in between free time. Waaaa~ didn't expect he'll be in a magazine at all although I have been wondering when he'll be in one. What a lovely surprise. Awaiting eagerly for Esquire to release these photos. Oooh super straight hair like Sung Joon's (in Duel). I like it and finger crossed, it's straight all the waaaay. [Instagram] 2018.07.02 SBS Catch Updates More BTS of Script Reading for "30 but 17"
30 but 17 is set to premiere on July 23! 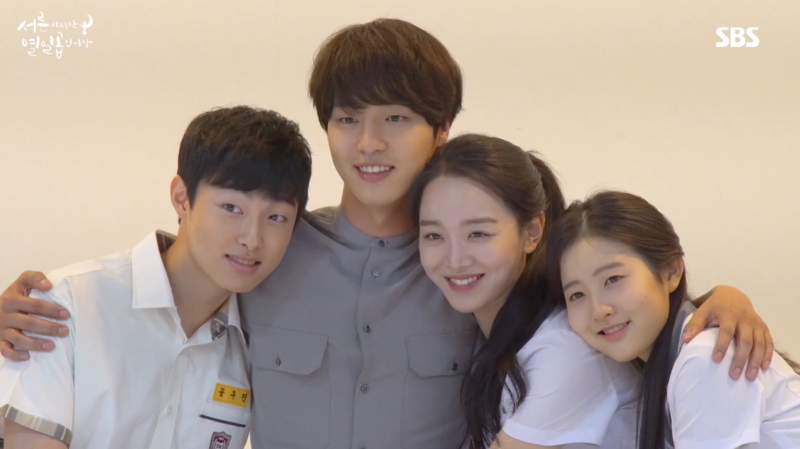 "30 but 17" Casts Yang Se Jong, Shin Hye Sun and PD Jo Soo Won attended a press conference at Seoul, Mudong, SBS. 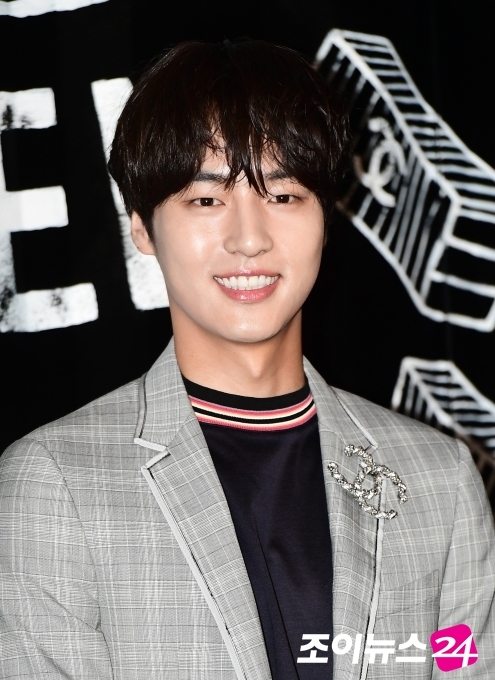 Yang Se Jong revealed why he decided to appear in "30 but 17". 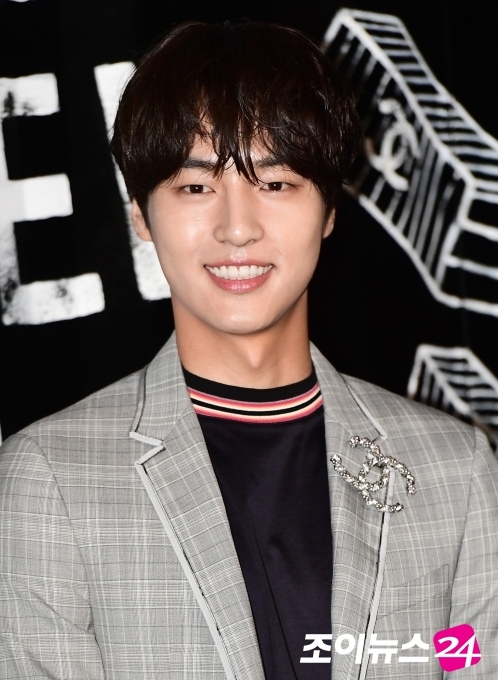 At the press conference that day, Yang Se Jong said: "After reading the script, I felt the troubles I regularly felt were healed." He also said: "Since I am a fan of PD Jo, so I am very happy to be filming with him. Noona (Shin Hye Sun), too, is really nice. In fact, it is also really fun on the set. Last night I was drunk (production team & casts had a gathering)." 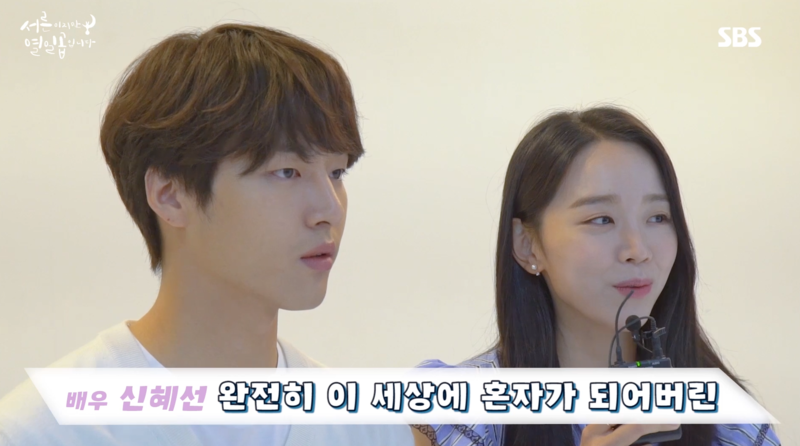 Yang Se Jong conveys the atmosphere with the team. 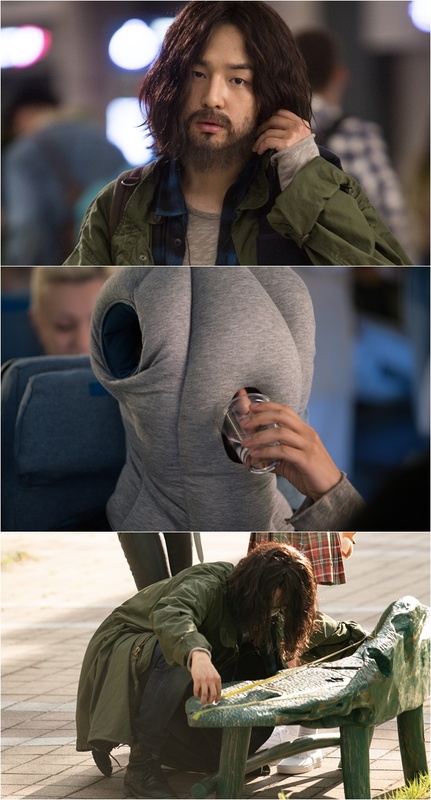 Interessssting, and LMAO at the second picture! Seeing these photos explain why he took on this project. Woo-Jin is, thirty but seventeen. 13 years ago, when at 17 one day, Woo-Jin's heart became shut. Somehow quickly, Woo-Jin has become a 30 year old adult whose heart has not matured. A set designer who shrinks all things down to 40:1 ratio from actual size to create a replica. Without fail taking out his tape measure, whatever his eyes come across he cuts things down to size - thanks to this occupational disease, being mistaken for a pervert or getting picked on into fights is all part of his day. However the real problem is, even his heart that he must give to another he lives on with, in that shrunken down state. When he walks the streets, he goes about with his ears plugged with ear-phone always. Music does not flow. Merely a kind of signal he's sending others. 'Do not speak to me. Do not come near,' that smoke signal. Finding out about others, letting others know about self, getting entangled with anyone, he does none of the above. However he is neither a cold-wind blowing ice-blooded nor a boring man, in the end. With a straight face, throwing out perfectly timed punchlines, matchlessly unique sense of humor that strangely draws your gaze, curiously making you want to comprehend him better, he is exuding with a particular peculiar fragrance. According to his nephew Chan's words, Woo-Jin's is a "Half seasoned, half fried life." After living about half a year in feverish working mode, the remaining half the year he turns into a Bohemian ('gypsy'), is why. After finishing a certain number of projects, one day he would just up and leave, renting out a camping car and going fishing, taking photos, taking in performances. Going around to purchase work-related objects,*** etc., traveling the world over living a nomadic life as he feels led. Towards the end of the half-year rest, because of his moppy hair and the beard covering his face, sporting a BaYa-Ba*** look, getting mistaken for the abominable snowman, but being away from the noisy world and spending that alone time, that half year rest for him is a much needed must time. First of several to come, time allowing or they release an official English version. A fascinating character this Gong Woo-Jin fella, for sure. @meechuttso approves of this Bohemian at heart for my girl. @mademoisellesia I linked this page from the 30b17 top post page 1. Beautiful work you're doing here - keep it up! Gee, when will SBS update the PD note... all these stuff are scattered everywhere in every account. So tedious.